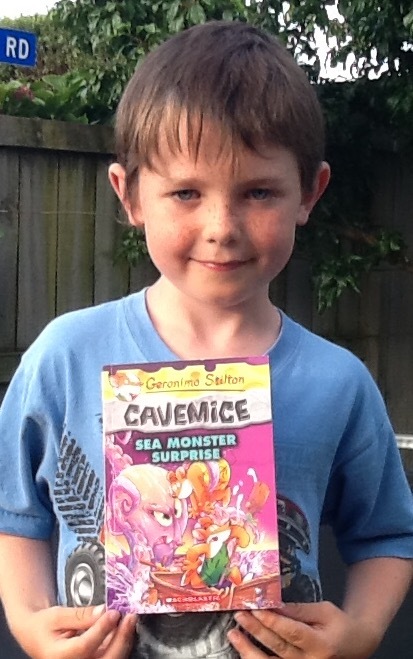 Bart Barnacle, the prehistoric pirate who has been visiting the cavemice, is ready to return to his pirate island home. 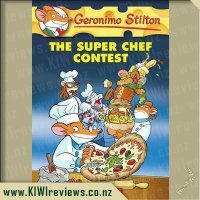 It&apos;s so far away that the Stiltonoots offer to accompany him on the long, treacherous journey over the sea. 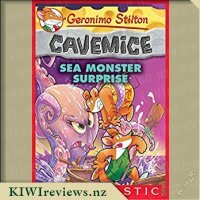 On the way, they encounter megalithic danger and hungry sea monsters! 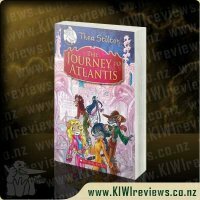 What an adventure! 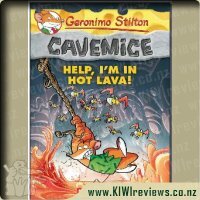 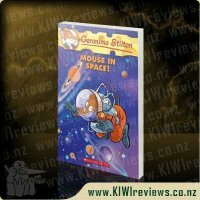 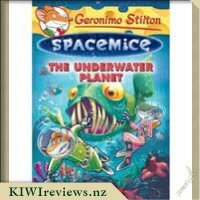 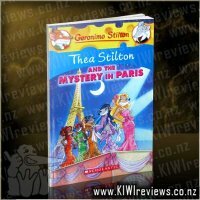 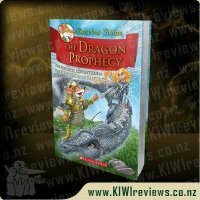 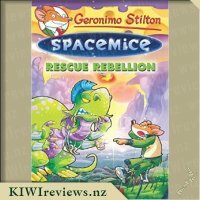 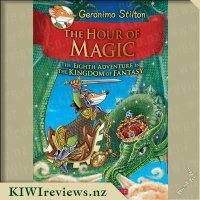 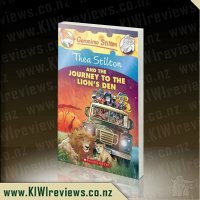 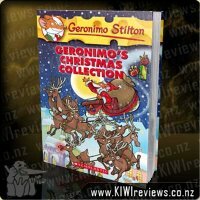 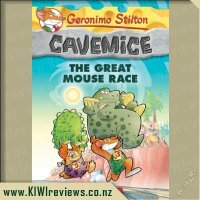 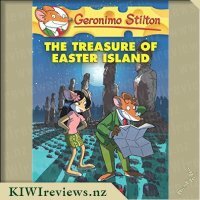 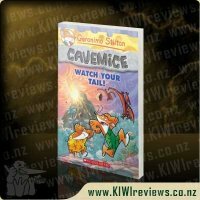 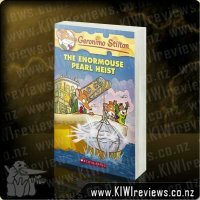 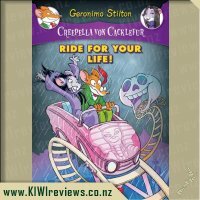 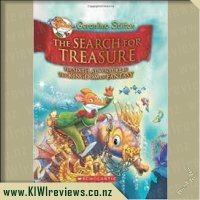 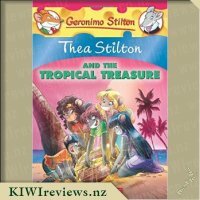 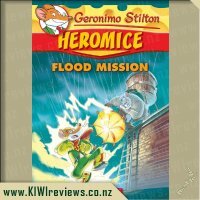 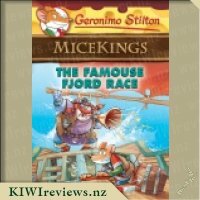 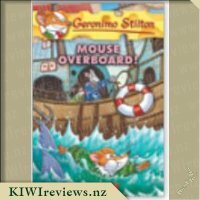 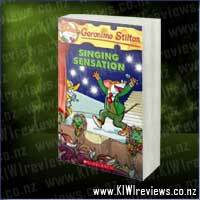 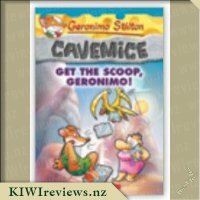 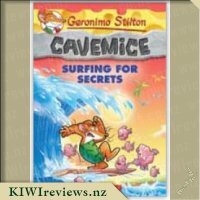 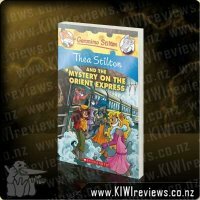 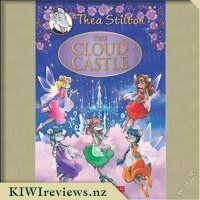 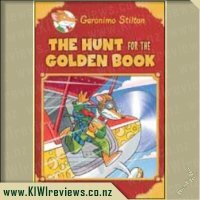 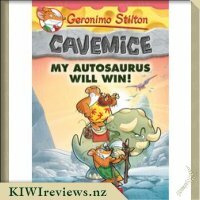 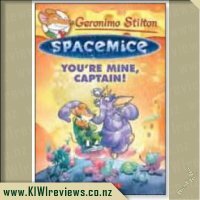 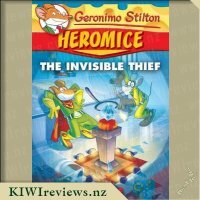 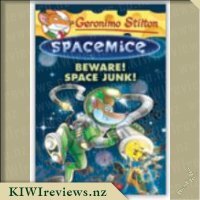 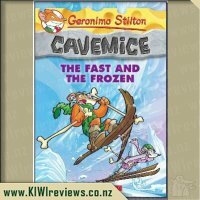 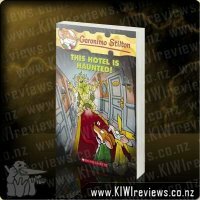 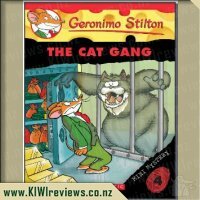 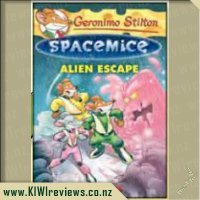 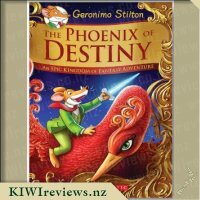 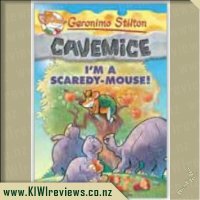 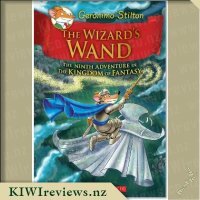 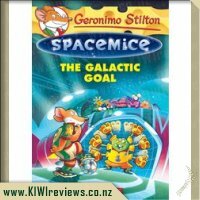 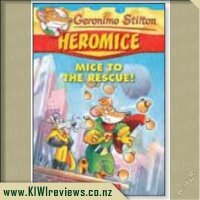 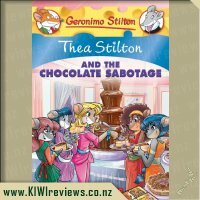 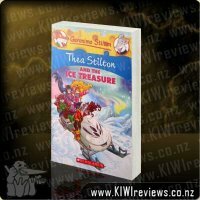 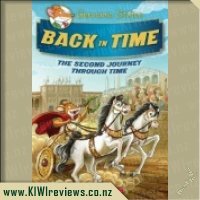 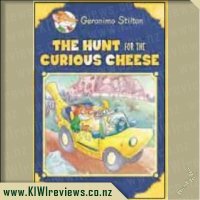 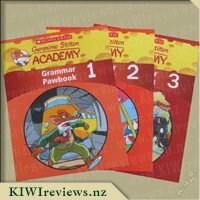 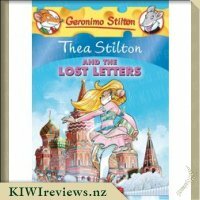 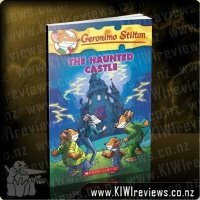 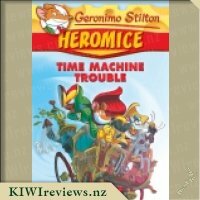 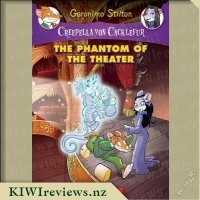 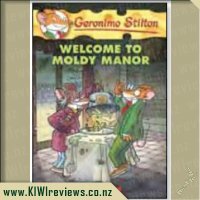 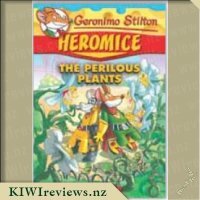 Mr Seven and I have enjoyed the books in the Geronimo Stilton series, so much so that I thought it was silly to review yet another book with his help as there could not possibly be any more to say about the series without repeating what had already been said. 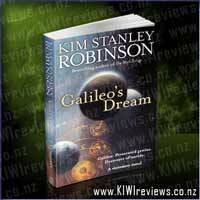 But amazingly we did find that there was plenty to say about this, the latest in the series. 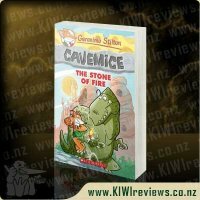 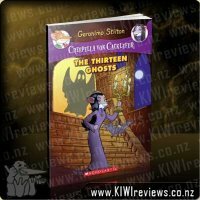 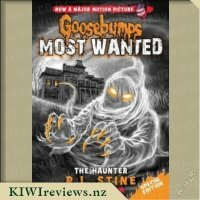 I think the attraction of these books is the way they present real information in an accessible way, and the stories themselves are great fun and maintain a fast pace at all times. 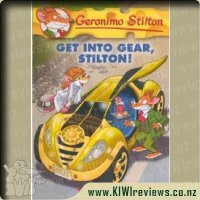 As always happens when we read the Geronimo Stilton series, there are questions that arise and have to be answered. 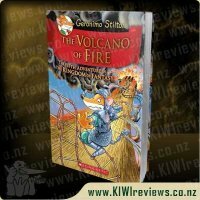 Wikipedia becomes our best friend at times like this! 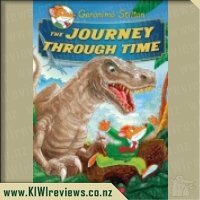 Mr Seven was not long into this book before he had to take a break to check up on dinosaurs, and then there was a further hiatus while he explored the history of saber-toothed tigers. 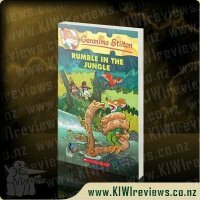 It is wonderful to see how interested he is in exploring the different ideas presented in the books, and extending his awareness of the natural world so painlessly. 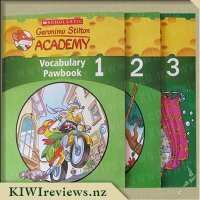 Several of the pages have unobtrusive footnotes which explain a technical term - this is useful as it does not interrupt the flow of the story and if the reader is already familiar with the term it saves time. 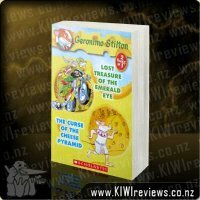 Words such as "helm" and "port side" were explained simply so that a child who was not familiar with nautical expressions could understand them, and later in the book, the word "menhir" is explained in very basic terms. 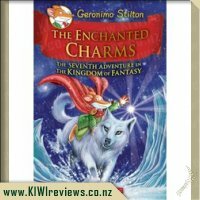 As are all the books in the series, this one is visually very attractive. 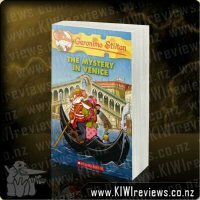 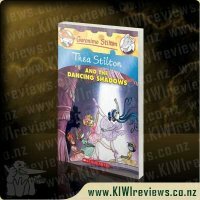 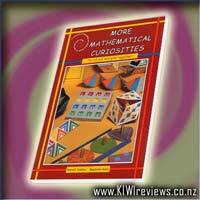 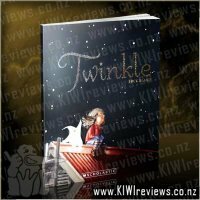 It features colour, not only in the detailed and often hilarious illustrations, but also in the word art which is used to enhance the common script that most of the story is written in. 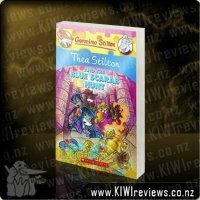 Mr Seven loves this playing with colour and font, and when he reads aloud to his little sister he tried to echo the meaning of the differently formatted words in the way he speaks. 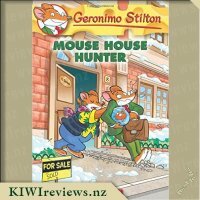 This is quite charming to hear, but also shows that he fully understands the story and the purpose of the brightly decorative key words. 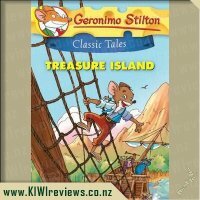 After we had finished reading the book - taking turns to read aloud - Mr Seven said he could imagine himself being the captain of a pirate ship and sailing away to look for treasure. 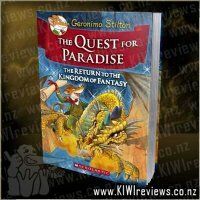 I wondered what he would do if he ran into monsters like the serpentsaurus or the octosaurus. 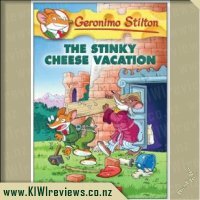 He said he would not worry too much as they were probably not real, but just in case they were he would make sure to stow extra cheese on board as most monsters appear to be particularly fond of it. 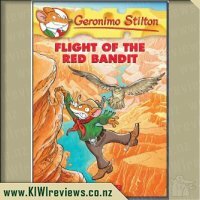 And if Geronimo could do it then a boy like him certainly could! 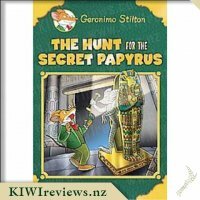 My detective friend Hercule Poirat and I were headed to India. 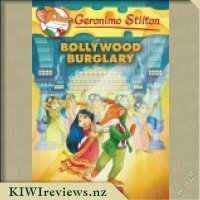 A Bollywood star we&apos;re friends with had received a valuable ruby and wanted us to help her protect it ... which meant that I ended up acting in the movie she was filming! 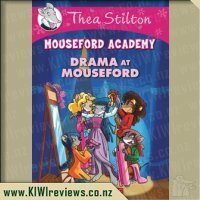 Rancid ricotta - I&apos;m a terrible actor! 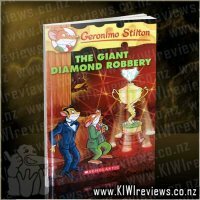 Even worse, just when we least expected it, the ruby was stolen. 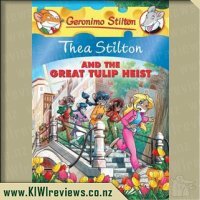 Could we find the thief?